Wandering around the experimental farm, I ran across one of my new favourite buildings in Ottawa. Natural Resources Canada has an Office of Energy Efficiency housed in an old observatory that would look at home in Oxford, Myst, or a neo-Victorian steampunk fantasy. 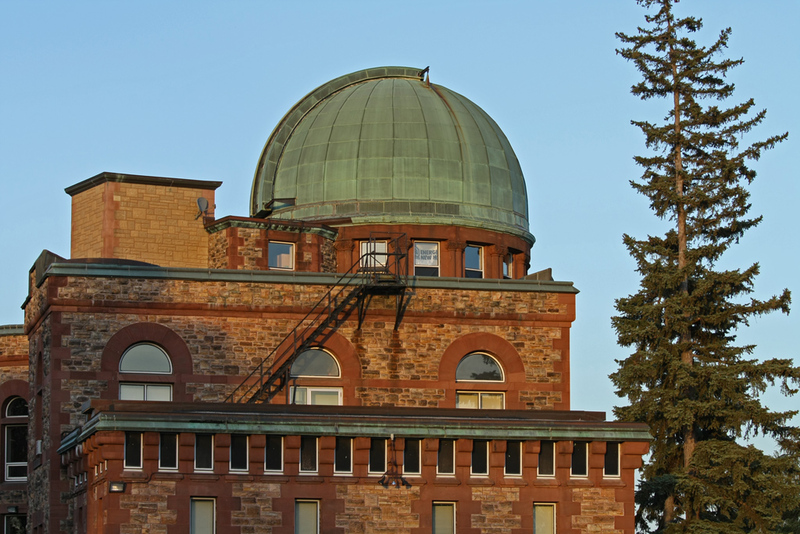 It has great brickwork, an attractive green copper dome, interesting detailing, and a nice setting uphill from Dow’s Lake. 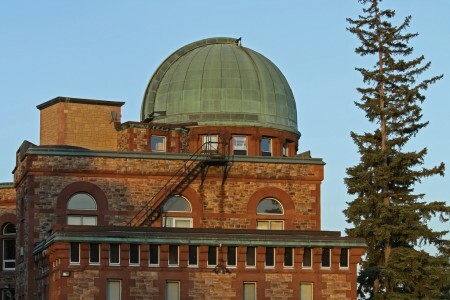 The building is called the Dominion Observatory, and served in that capacity from 1905 to 1974, with a 15″ refracting telescope installed in the main dome. I will need to find some pretense for getting invited in. I will also need to go back at a time when the lighting is more favourable, and when I have a tripod with me.